In 2015 the Brigadistas finally reunites in Switzerlands probably most exciting city: Zurich. Since then the Limmat city is the new home base of SoulBrigada. Compared to other cities Zurich is rather a small metropolis but due to the fact that one third of its inhabitants are from foreign countries (approximate 170 nations) it’s a nice melting pot of varied cultures and (life-)styles. Zurich’s cultural scene is also a nice environment for creative work & output. And it’s also good place for music from vinyl. Several record shops, flea markets & record fairs are a good source for extended diggin‘ tours. In „SoulBrigada pres. 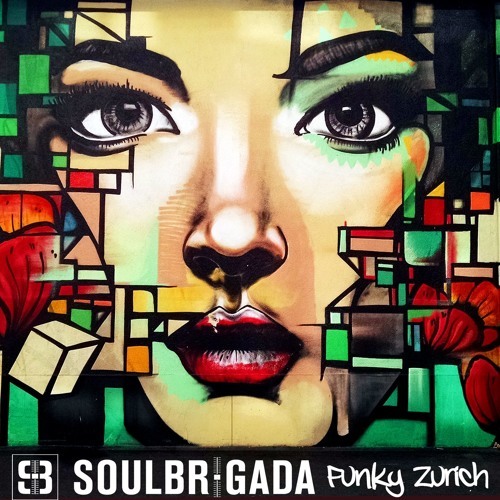 Funky Zurich“ you’ll hear the results of this crate diggin‘: an eclectic trip through funk, rare groove, dub disco, boogie (funk), nujazz, brazil, reggae, dub, trip hop, jazz.. Follow us on this journey!